How come ye so equated to drunk! Sadly all this frivolity died out around the 1890s but if it was better known I am sure many would be keen to see a revival! All over the countries, fetes and village fairs often have swarms of people waiting impatiently along stream banks. Why? They are waiting for someone to open a netted bag of plastic yellow ducks…a duck race has begun. This staple of any village event with a stream…has a more ancient forbearer which used real ducks!! 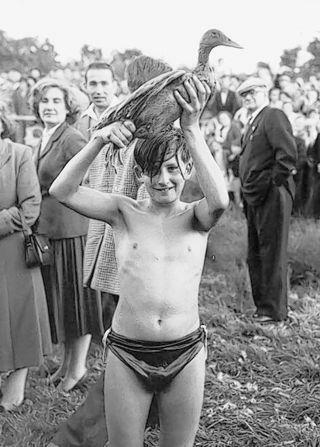 The custom attracted hundreds of eager participants along the Letcombe Brook, in Grove, a village near Wantage, in a custom which in the mid 20th century was said to be over 200 years old. The association of this custom with an annual Feast makes it very clear the idea behind it…to catch them and eat them. By the 20th century the eating aspect had disappeared of course. However, the very fact that the ducks often eluded the captors and much of the enjoyment was about people falling in the water was not considered. 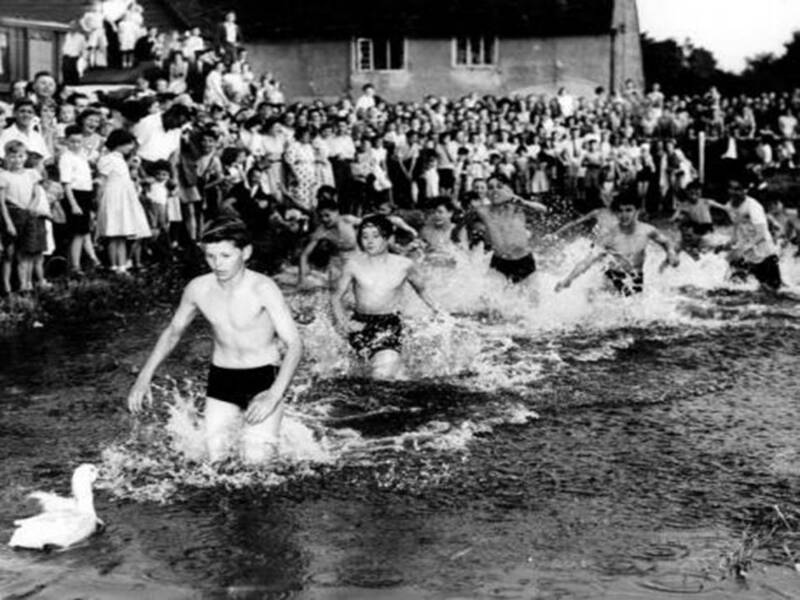 Especially as often it is said the spectators got so excited that they leapt into the water fully clothed to join in. Public pressure caused it to sink without trace in 1960 a nary a plastic duck replaced it!